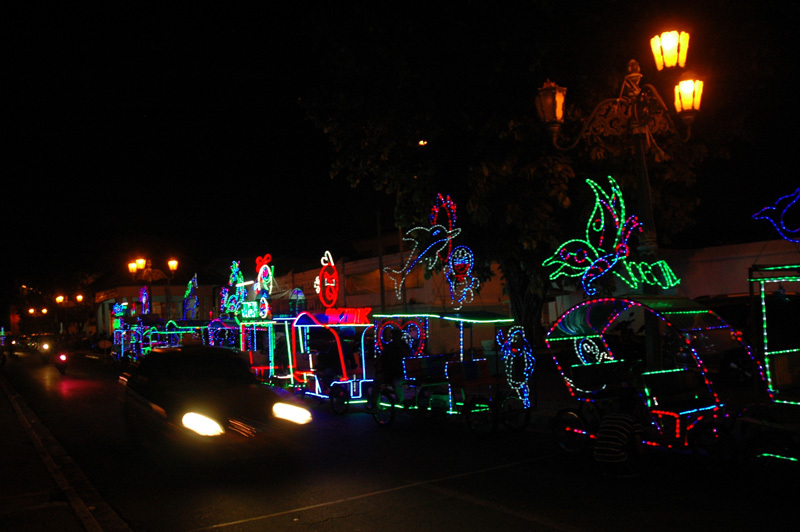 Yogyakarta is a sweet and smallish city of 1-2 million people in the region of Java Indonesia. It is known for it’s ties to historical arts, batiks, drama and dance. We only spent 3 days in “Jogja,” and basically all of that time was spent talking with incredibly interesting people who I will talk about in later posts. So, we didn’t get to see much of the city. The night before we left, our driver took us for a drive in the old city center just so we could see it. 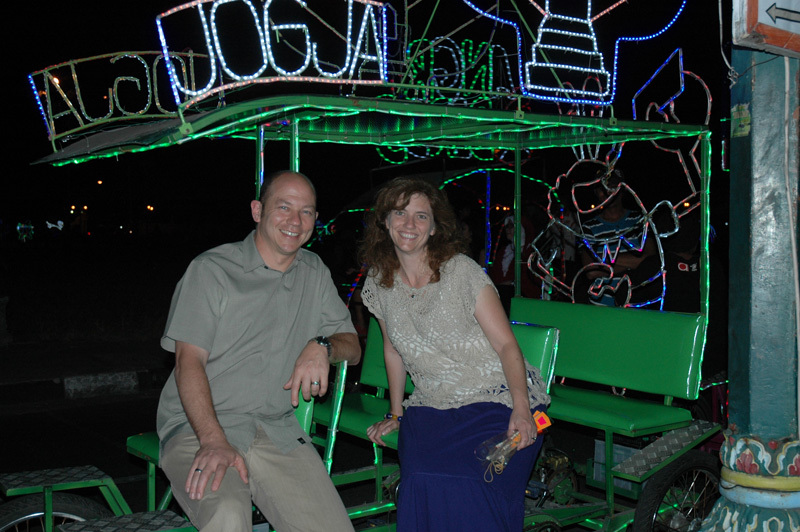 On all 4 streets bordering the Square are little rentable “cars” made up of lights. They are so cute, and there are maybe 100 different ones! More light cars…and in the middle of the square are vendors, all with decorated light stands selling little flying things with lights. It’s a very consistent theme of the square, having nothing to do with anything except an idea somebody had that took off. 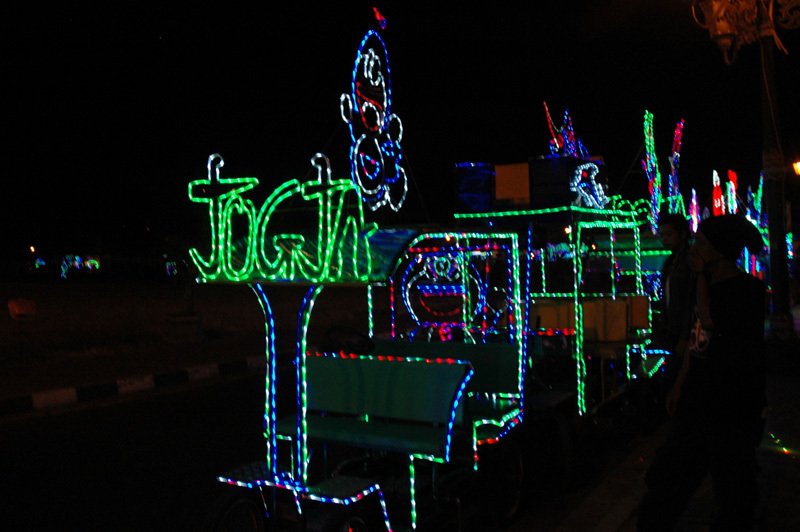 This entry was posted in Yogyakarta Indonesia and tagged cars, lights, Yogyakarta palace square by beth. Bookmark the permalink. Makes me think of the Electric Parade at Disney. I bet the music and the lights were quite something – almost like Mardi Gras on Bourbon Street. How was the food?